When it comes to your potable water system, it is essential to understand the components and how they might fail so that you can keep the water flowing in your Chicago building. In general, potable water lines consist of straight runs of pipe and various fittings that are used to change the direction of the pipe, connect two or more pipes or add a shutoff valve. Straight pipe can span long or short distances. This type of potable water pipe can be made out of brass, copper, PVC, CPVC or PEX. 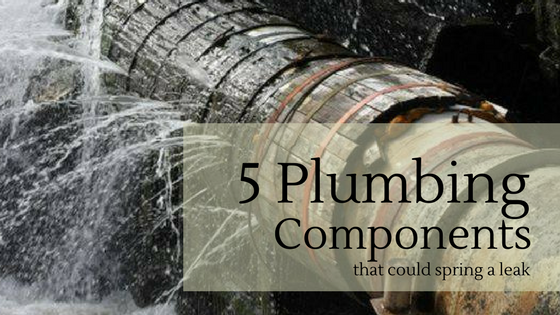 Metal pipes can be prone to corrosion and pitting, which narrows the diameter of the pipe and can lead to leaky plumbing. Plastic pipes are prone to leaking at fittings and joints and they can develop longitudinal cracks. Both metal and plastic straight pipes can be lined with an epoxy coating or liner, which seals the leaks and stops further pipe deterioration. If the pipe is severely damaged, it may need to be replaced. A tee section is a type of fitting or joint that connects pipes at a right angle. Tee sections can be manufactured from the same materials as straight pipes. Over time, these joints can become corroded and develop pinhole leaks or cracks. The glue can also degrade over time, causing leaky plumbing pipes where the pipes connect to the joint. When tee sections start to leak, they should be cut out and replaced or lined with an epoxy coating. Brass valves and gate valves control the flow of water. When they are open, water flows through. When they are closed, water does not flow through the valve. Common problems include the valve ceasing to turn on or off and dripping. If any of these problems are noticed, the valve should be replaced. When brass valve are lined with epoxy, the valve is rendered useless and must be relocated to a section of pipe that does not contain an epoxy liner or coating. A double elbow is a type of pipe fitting that allows for a directional change. It is similar to a tee fitting except the angles are rounded. Problems with double elbows, including cracks, leaks and corrosion cannot typically be corrected with epoxy linings. Instead, the fitting has to be cut out and a new fitting installed in its place. A large elbow is an elbow fitting that has a large diameter. Though, the term can be slightly subjective. Elbows can be manufactured from PVC, galvanized steel, PEX, CPVC and copper and are used to change the direction of the pipe. If an elbow becomes corroded or starts leaking, the best recommendation is to cut the fitting out and replace it. However, there are some circumstances where an elbow might be able to be lined with epoxy. Here at NuFlow, our pipe lining technicians can examine your potable water pipes to determine if they can be restored using an epoxy coating. Epoxy coatings are used to seal pinhole leaks and cracks and prevent further pipe corrosion. It is typically designed to seal and protect straight runs of pipes or pipes with slight curves. In order to determine if your potable water pipes would make good candidates for the pipe lining process, we recommend scheduling a plumbing pipe assessment, which is a detailed inspection of the insides of your pipes. The assessment includes a detailed camera inspection, a recommendation for or against pipe lining and an estimate for our pipe lining services. To learn more about epoxy pipe lining and to schedule a pipe assessment of your leaky plumbing, call us at 815-790-9000.